I have been a fan of Benefit Cosmetics for a LONG time. And you know I am a loyal girl when it comes to something making my favs list. 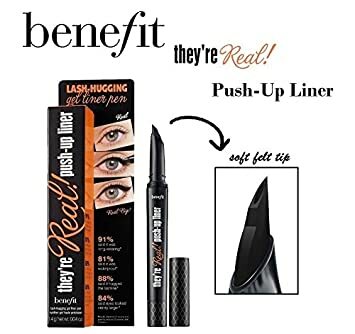 I became a fan of their ‘They’re Real Mascara’ about 2 years ago and was immediately a convert. I have also been a lover of their ‘Hello Flawless’ pump foundation, as it’s got an oil free SPF25 and is a staple in my makeup collection. I have a winter shade and a summer shade (shade darker than winter shade). Last summer, they came out with their latest development. A gel eye liner that was supposed to revolutionize the eyeliner market. Can you imagine? If anyone could do it, I was confident Benefit could. I purchased the ‘They’re Real Push Up Liner’ a couple of weekends ago, and have been having a lot of fun using it and learning to perfect my cat eye. I am no make-up artist and I have no training, BUT what I am is the average woman, just like you. A Mum that is just having fun with style, and that means trying new products and not being intimidated. Thats what they invented eye make up remover for. I looked at a bunch of You Tube tutorials and read numerous reviews. Everyone seemed impressed. I had heard it was hard to get off, but I tested it out on my hand with my ‘Make Up Forever Sens’ Eyes’ remover in store at Sephora and it came off very easily. Now to test it out for reals. What goes so well with a classic cat eye? A classic red lipstick, of course. Naturally, it’s better to Vlog this sort of thing so you can see its application in the making, enjoy the show! I love my They're Real Push Up Liner! *-* It's because I have a hard time drawing cateyes/wings and has been a time saver. Don't have to use q-tips as much to fix the line. I wished the product didn't come out so clumpy sometimes. Does that happen with yours? Which makeup remover do you use to get it off? 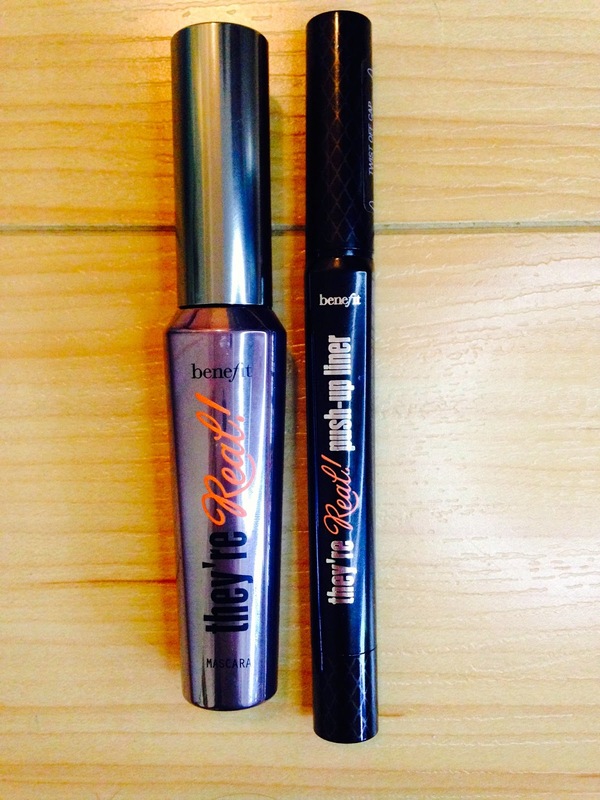 I havn't tried the mascara but heard a lot of good things about it. Hi Carol, remover I use is by Makeup Forever, its the Sens' Eyes from Sephora stores. As for it getting clumpy, only if I twist the liner up too many times, it really needs to be used a click at a time. You will LOVE the mascara, get your hands on some!! Love the lip color on you! I also have the eyeliner and mascara, both look super lovely on you!! Thanks Priyanka, couldn't get through the day without my lipstick! I always wanted to try the liner…. That lip color is gorgeous and the eyeliner looks great as well:) I have the push-upliner, but on my eyelids it tends to smudge alot so i use it on my waterline.